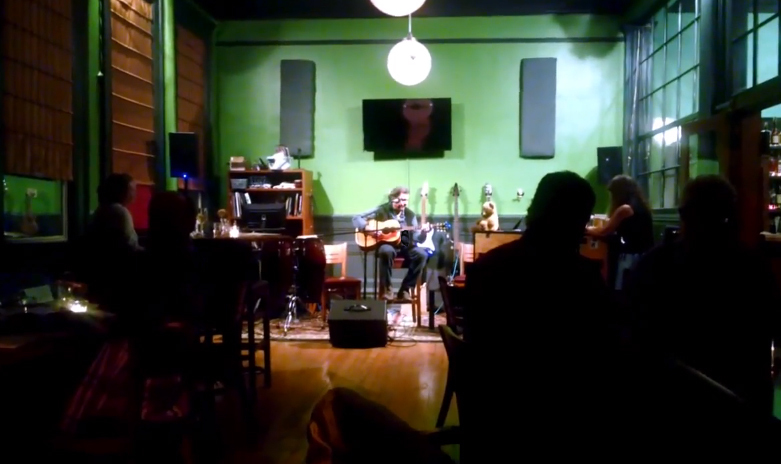 Always felt pretty comfortable playing live behind the drum kit, but it was just duanting to get up and play guitar and sing recently at The Star Club in Bellingham. Practiced so long into the wee dark hours, I blew out my voice! Required a couple of cognacs to steady the nerves and resuscitate some of the vocal cords. Truly made a mess of it, but still good to make that happen, eh? Submitted by Natonymous on Mon, 2014-10-06 21:23. Submitted by Danny Briere on Thu, 2014-10-02 12:49. Submitted by Chad Petersen on Wed, 2014-10-01 05:34. Bravo Stephan ! Nicely done. Rhythm and tone. Submitted by NM Smith on Sun, 2014-10-05 11:10. That was f@#kin' great, man. Where's the rest? That guitar has a sweet sound and you play it well. Groovy 70s Brit folk voice too. Submitted by Stephan on Sun, 2014-10-05 11:17. Thanks. You're very kind. Very sympathetic.